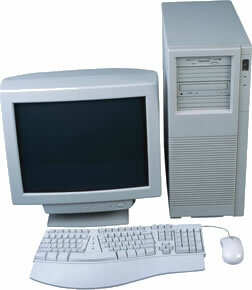 If you know you need a new computer we will help with the process of selection. This will ensure that you have the right PC for your needs rather than the package being offered by one of the high street chains. 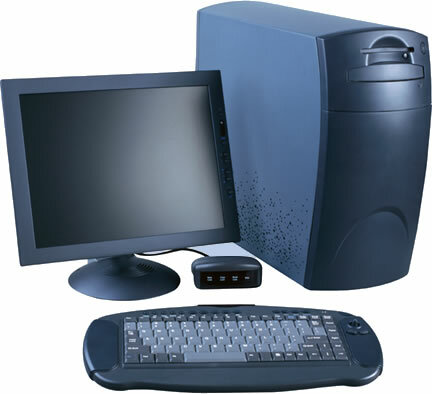 In some cases an all in one package may prove to be the best answer to your needs but the packages often include items you don't need, or such cheap peripherals that they need replacing almost immediately. The focus will be on the main system rather than the additional stuff thrown in to make the deal look good. Supplier Build - Pros - usually the cheaper option as large suppliers have more buying clout than us so can build their PCs for less. The guarantee may last for up to three years. Supplier Build - Cons - difficult to limit the purchase to exclude peripherals. If you already have a keyboard, mouse and monitor that you are happy with it can be difficult to find a supplier for the base unit alone. The guarantee may prove worthless as its often difficult to prove that a fault lies within the scope of a guarantee. Custom Build - Pros - you get exactly what you ask for; even the specific case design if that's what you want. You can specify components to the greatest degree of accuracy, knowing you will get precisely that. Custom Build - Cons - the cost is usually, but not always, more than the cost of buying an equivalent from a mainstream supplier. That can be offset because we don't throw in extras that you have to pay for. The guarantee is only that provided by the individual component maker, usually a year. This is becoming a popular service. Many people find that their new PC is not quite so easy to work with as they'd hoped. Specialist training in other topics can always be arranged. Just contact us with your needs. If we don't have the skills we'll tell you up front!